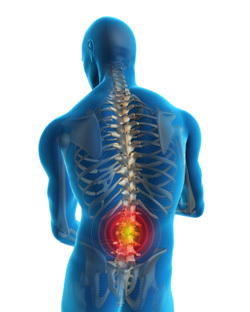 Eighty percent of Americans experience one form of back pain or another during the course of their lives. It is the third most common reason for surgeries. More men over the age of 45 are disabled by back pain than any other condition. People complaining of back pain cannot be easily diagnosed. This is because the spine is such an incredibly complex structure of bones, muscles, nerves, joints, tendons, and ligaments. Injury or disease affecting any one or more of these structures can often trigger an episode of pain. Rest for a sore back should be kept to no more than two weeks. The muscles in the lower back begin to atrophy and can become significantly weak, leaving you open to further undue pain and injury.